‘Double Green Lines’ is an environmental awareness and action group that focuses on local communities and offers people the opportunity to learn, travel and engage in purposefully creating an environmentally conscious, sustainable and a responsibly interlinked global community. Since its foundation, Frugeo Geography Research Initiative has invested a significant amount of time and effort in promoting the importance of Geography, thus Earth Sciences, in Environmental Awareness. This includes, just to mention a few areas, energy resources, luxury commodities, sustainable development, communal recycling and reuse, and green transportation. 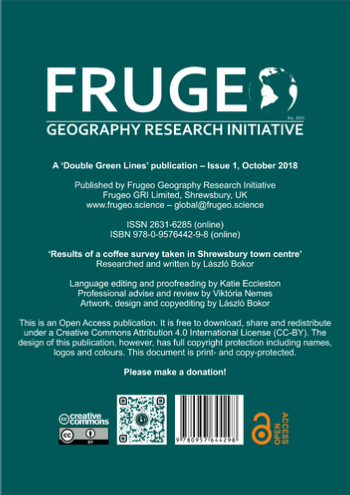 It was also one of the main reasons that Frugeo’s very own journal, Geographical Locality Studies, was brought into existence which has also found a good way to blend the boundaries between Earth and Environmental Sciences. We know for sure that the Earth and the Environment do not exist without each other. We have now reached a new milestone and it is time for us to lay down the ‘green’ brick path to our environmental awareness and action group, which sources its knowledge from scientific disciplines and takes real action including education, research and field activities. Our name borrows the meaning of double yellow lines which are road markings in the UK and indicate a prohibition of waiting. In our case this means that we are proactive, forward thinking and highly focused on what we want to achieve ‘at the end of the lines’. We have changed the yellow to green to be more compatible with our environmental consciousness. The idea of this group is to promote environmentalism through education, therefore environmental awareness is where we offer understanding on how anthropogenic (human) activity affects the natural/physical world, how it transforms that to a geographical/social world and then what we can do to protect and preserve it for future generations. The action part of the group is ‘the act.’ This, on the one hand, must be research, therefore we aim to write and release more publications. On the other hand, the group will aim to organise workshops and field works, mainly involving children, where they can learn skills and ideas to be more efficient in environmentalism. The number of environmental issues seems limitless but, nonetheless, they are all important. We will initially, but not exceptionally, focus on how products and habits impact our environment and ourselves, but one cannot just walk past another concern as human-caused impacts on the environment are fading the boundaries among the issues. Our aim is, however, to specifically focus on our local environment, our local community and how we can improve our lives which is clearly a very important step that we can take towards a more conscious global community. Think globally, act locally. Our self-titled, open-access serial publication has been created to present results of our on-going activities available free of charge. The publications you will find here are all researched and written by us or by co-operating authors who interact with us and pursue goals that can improve the environmental spheres of a local community. Would you like to publish in Double Green Lines? We accept fully researched, in-depth scientific papers and essays that deal with environmental issues at local levels. The publications are open-access, therefore we ask that you donate at least £200 which will be invested into the on-going process and maintenance of Double Green Lines's activities. Recycling, waste control, global warming, climate change, sustainability; just to mention a few of the intensively growing number of “words” that people are bombarded with by the media daily. These phrases are, however, mostly on a loop of trend, they and their seriousness are not properly explained, which, in many cases, just spiral them down to meaninglessness and no further action is taken. It is now plastic that rules the headlines on many platforms, but surely, this is just the tip of the iceberg of all the environmental problems that the planet is facing. The author of this paper is interested in understanding the key factors that act between the society and the environment; therefore, it is commodities–that people consume daily without possibly thinking much of their origin and the effects (and side effects) that they directly or indirectly make on many environmental spheres–which are in the focus. It is coffee which is chosen to take the leading role and can navigate the reader to-wards having a better understanding of sustainability and the issues around them, through a very known example. 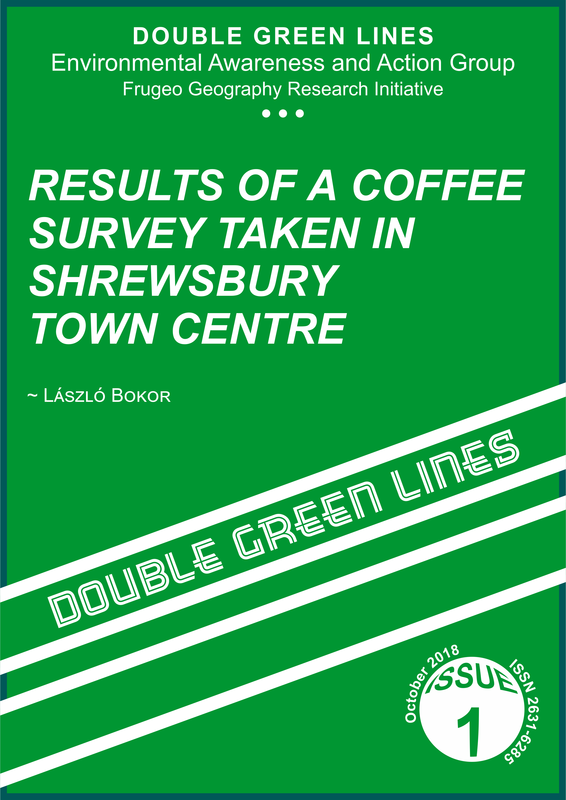 The idea to demonstrate this was to carry out a survey in one of England’s prestigious towns, in the town centre area of Shrewsbury, to identify the number of premises that sell coffee drinks. The results shown in this paper represent only a rural town and urgently forms the question for sustainability matters as coffee is something that cannot be grown in the British Isles, however, it is highly popular, showing a continuous increase in demand that puts a strain on the producing countries. The author has tried to link the findings to other environmental factors and this is what is presented in the paper. 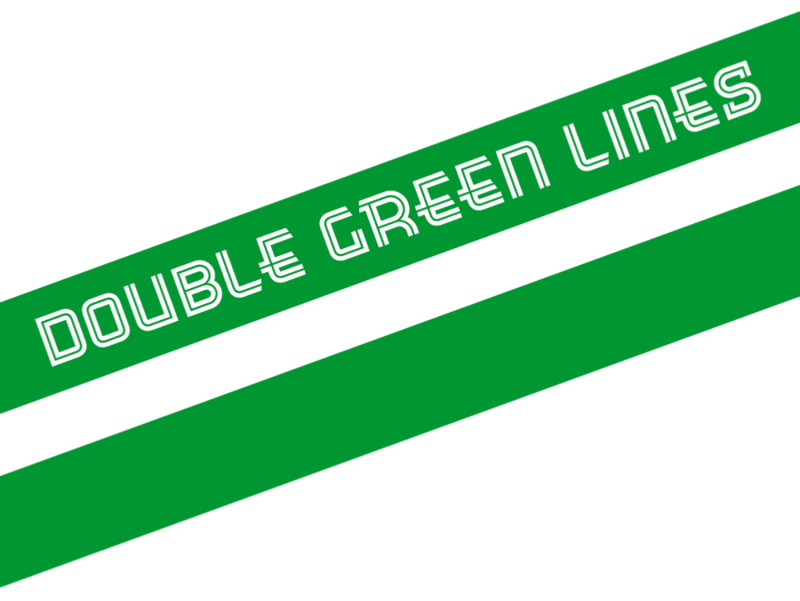 Laszlo is looking for a bunch of like-minded enthusiasts who could join forces with him in Double Green Lines. Since this is a brand new and a non-profit activity, if you decide to join, you will become one of the key figures of the activity group. The idea is to bring the group to a higher level, do researches and activities together, craft new ideas and become an important part of local science hub. The main idea of the group is, therefore, to bring people together who want to act, who want to do things, but cannot work on their own. The members of the group will push each other to achieve, write scientific and educative papers and articles together, organise activities for children to learn about the environment, meet regularly to discuss important environmental issues, etc. → You have a wide and competitive knowledge in Earth and Environmental Sciences. → You are interested in what is happening around you in your environment and you want to maintain and improve it. → You like to do researches and surveys. → You want to write and publish articles. → You want to help people, especially children, to gain better knowledge and understanding in environmental subjects. → It is not important for you to live in Shrewsbury, but preferably key members should be from the West Midlands, so the group can meet up regularly.